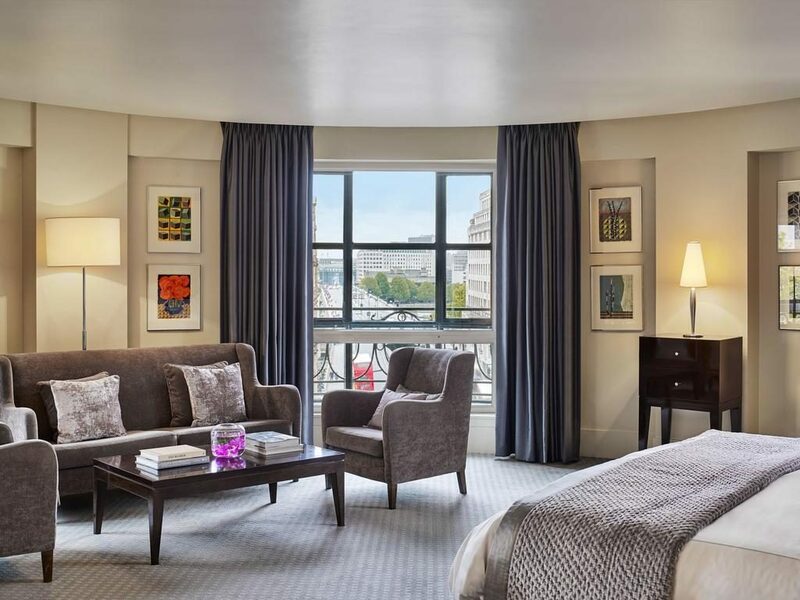 There are many hotels in London that can boast a fabulous location, but not more so than One Aldwych Hotel. 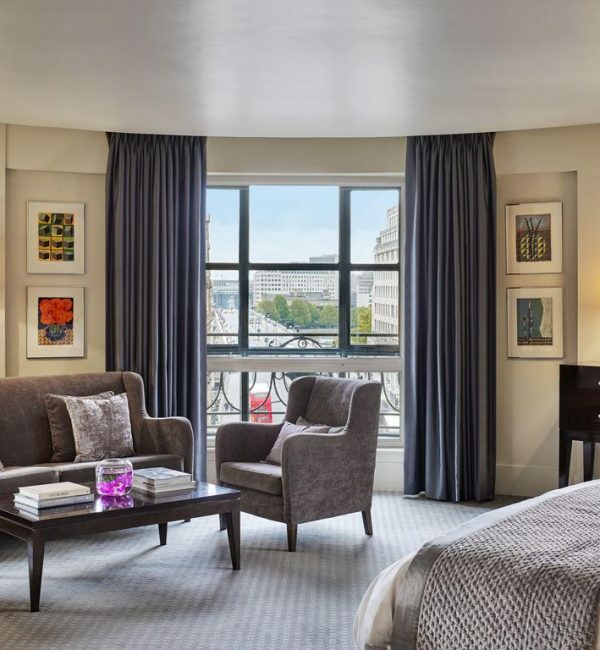 Positioned at the intersection where The City meets the West End this hotel has a great location at the point where The Aldwych meets the Strand, directly opposite Waterloo Bridge. 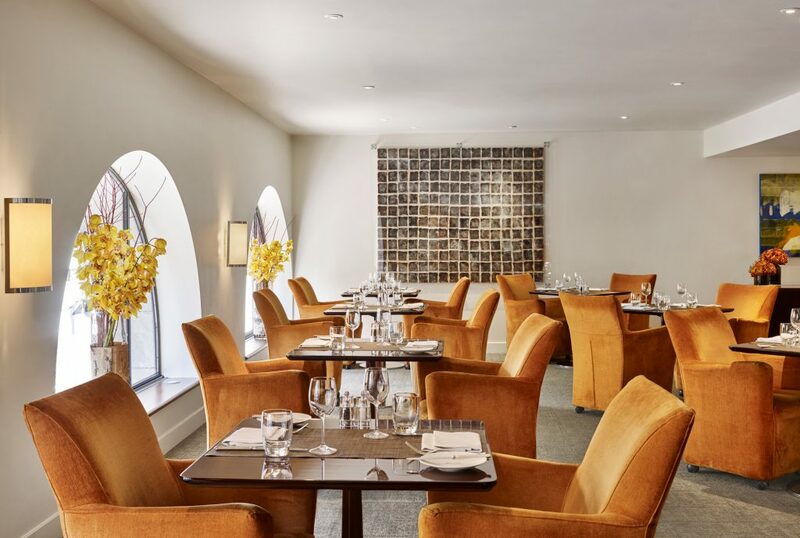 The hotel is within walking distance of many major theatres, the Royal Opera House and many well-known London galleries but more importantly the nightlife of bustling Covent Garden and bohemian Soho. Fresh from her golden weekend in Prague, Rachel the birthday girl joined me for a weekend at this wonderful hotel. 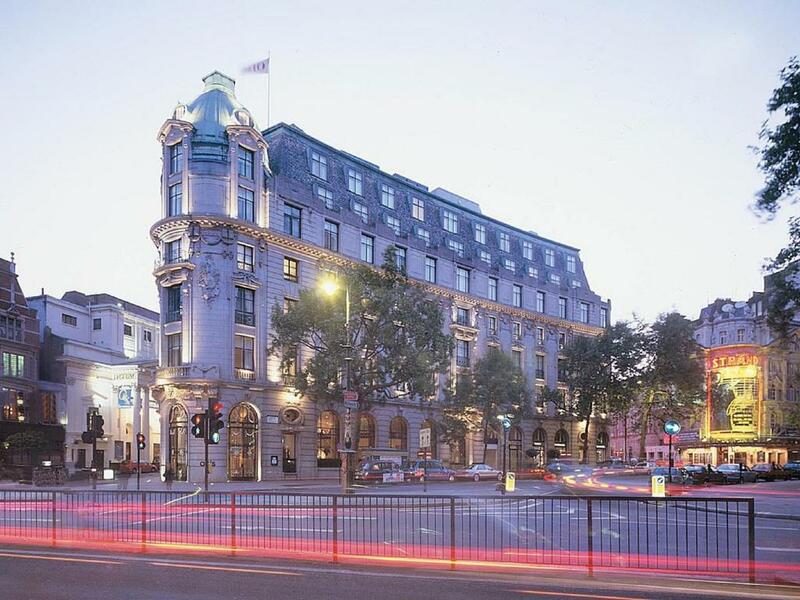 Built in 1907 for The Morning Post Newspaper, the hotel is one of the most important Edwardian buildings in London, now protected by English Heritage. Designed by Charles Mewes and Arthur Davis, the Anglo-French partnership behind the Ritz hotels in London and Paris. It therefore seemed quite apt that us two Editors spent some time away from our desks in favour of some pampering and party time, especially as we were celebrating a birthday! I met Rachel on a sunny Saturday afternoon in the lobby, a grand open space which houses the famous or should I say infamous Lobby Bar, decorated with dark wooden window shutters and the Oarsman overseeing the clientele of the bar sipping their cocktails. We were greeted at check-in by the lovely Petra who enquired about our plans for the day; being that this was a birthday blowout only a fun-packed day of activities was on the cards. We were shown to our beautiful Suite which was decorated in hues of mauve and indigo, windows adorned nearly every wall showcasing the unique views from this hotel’s unique position on an apex, and another wonderful feature was the living room with dining area, perfect for late night dining or breakfast in the room. Petra bid us a wonderful stay and left Rachel and I to explore the Suite, then like naughty schoolgirls we inspected every part of the beautiful room. The bathroom was vast with her and her sinks, walk in shower, sunken bath and a television all sculpted in polished stone. The only downside was we spotted was a set of scales and considering our dinner plans this was promptly hidden from sight. The bed was also rather large, listed as a “King” I can only but assume the king this bed was based on was rather a large fellow as even lying horizontally one could not reach both ends. It was time to get the birthday celebrations on a roll and where better but to start in the onsite Health Club? We made our way down to the Health Club in the very funky lift (which changes colour depending on the time of day – a vibrant yellow being the tone this time) where Sylvia, our therapist for the next few hours, greeted us and shows us around the facilities. 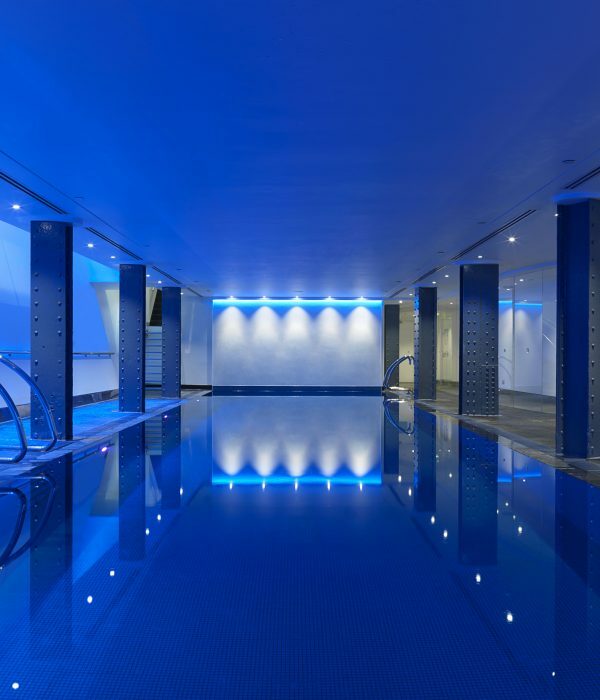 This space boasts an 18m/56ft chlorine free swimming pool, which is lit in a beautiful tranquil blue, three fully equipped treatment rooms and a state-of-the-art gymnasium with 24-hour access for guests with access to personal trainers if you so wish. Sylvia shows us to the ladies changing rooms where we find plump cotton robes and matching spa slippers. Once changed we agreed a rendezvous back at reception and I was shown to my treatment room while Rachel opted to take a dip in the pool. I lay down on the heated treatment bed while Sylvia explained the treatment, which was the Skin specific treatment facial with Natura Bissé Products. She looked at my skin under the light and recognized that my skin is dry so she chose the products that help hydrate my skin. After cleansing and toning the skin she layered a mask on my face that was left to be absorbed by the skin, at this point I was so relaxed I almost fell asleep as Sylvia massaged my neck and shoulders. 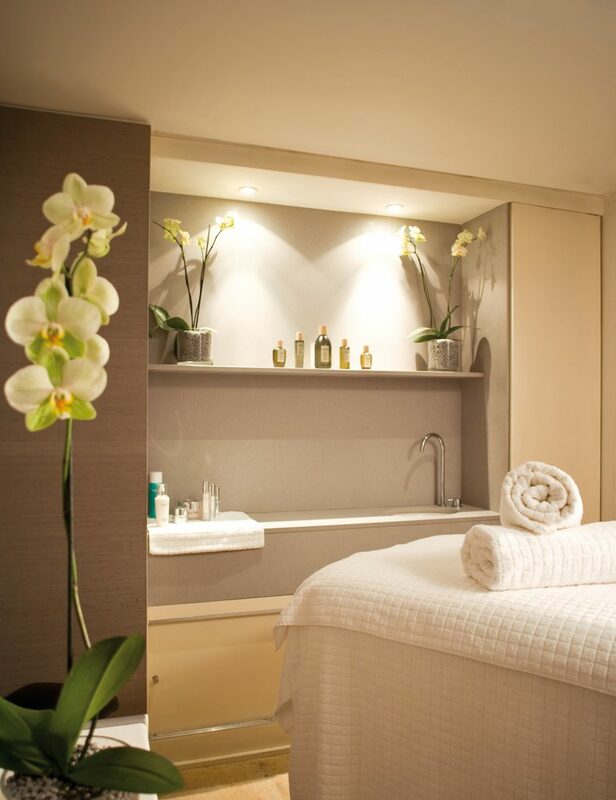 The treatment room, though small, is bathed in a relaxing mood light and ambient music helps set the scene for a very soothing experience. Once the mask is careful removed she added the last treatment of a Recovery Cream that she told me would keep me moisturized all day, perfect considering what was planned for the evening ahead of us. I then headed to the pool; at first I could not locate Rachel then, spotting her red hair at the bottom of the pool, I gasped. On seeing me she came up for air. “What were you doing down there?” I enquired. “I was chilling out to the music” she replied. 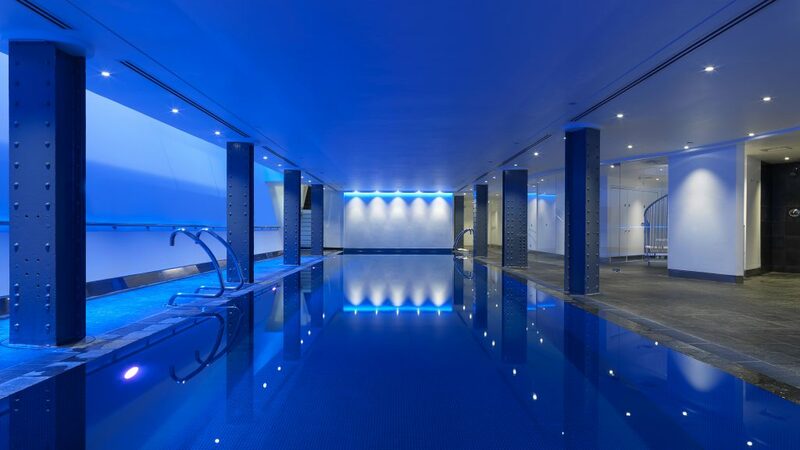 At this point I could only assume Rachel had lost her marbles, but no, the pool at One Aldwych has a hidden talent: underwater music. After drying off we headed back to the room to prepare for dinner at one of the hotel’s restaurants Indigo, the other being Axis, located in the lower ground floor of the hotel. Back in the room we were greeted with our first gift, a plate of homemade macarons, and despite dinner looming these were wolfed down while we primped and pampered for the evenings delights that lay in store. Taking the lift (the colour now being a striking magenta pink and my personal favourite) down to the mezzanine, where Indigo is located, we arrived at our seats overlooking the architectural brilliance of the Lobby Bar, bustling with hotel guests, weekenders, locals and the odd celeb or two. Having gazed at the menu earlier in our suite we both already knew what we were ordering, but obviously (being the champagne fiend I am) one must muse over such decisions over a glass of bubbly, plus it was a birthday after all! We select the Carpaccio of beef, Dedham Vale fillet and truffle dressing and Ceviche of wild sea bass with avocado mousse for starter, 10oz 35 day aged rib eye steak, frites and béarnaise sauce and Veal Holstein, aged pecorino, rocket and caper berries for main and being somewhat gorged by this point we shared the One Aldwych chocolate plate. All the dishes were beautifully presented and expertly served by the staff of Indigo, our waiter also chose a particularly good Rioja to accompany our dishes. The night was yet young so we finished off the meal with our favourite cocktail, the iconic Espresso Martini, made with rum of course rather than vodka, expertly delivered from the maestros of the Lobby Bar. As previously mentioned the best feature of this hotel is it’s central location, with so much one the doorstep you are spoilt for choice, but being that we were celebrating we disappeared in to deepest Fitzrovia for birthday drinks with friends. When time was called on birthday cocktails, Rachel and I were delighted in the knowledge that not only did we have a 5 minute cab journey ahead of us but the plush 5* Star luxury of our suite at One Aldwych. We took the lift back up to our suite (this time in a lush deep purple being it was past the witching hour) where we were greeted by gift number two, a bottle of champagne and a birthday cake. Slipping in to our bathrobes we toasted a wonderful night with the champagne and shared the beautiful (if somewhat sinful) cake. Then the bed of kings beckoned us to the land of nod. The next morning we awoke to a sumptuous breakfast in our dining area, ordered the night before in somewhat of an eyes-bigger-than-belly state at the temptations on offer, from English fare to my personal favourite Pancakes with Maple syrup; we tuck in, bathed in the sunlight streaming through the panoramic windows in the lounge area. After a very hearty breakfast we prepared to checkout, somewhat hindered by the gluttony of the last 24 hours. We took the lift (this time in an electric orange obviously signally daybreak) down to the lobby, said our goodbyes to the lovely Petra and upon leaving the hotel drifted in to the hustle and bustle of the Strand. Despite the historic corporate exterior of One Aldwych and its proximity to many important business districts, this hotel is actually a secret hip hotel; what with the hidden pool with underwater music, the sharp and modern architecture of the restaurants and Lobby Bar and the disco lift, this is a hotel where one could not only have Saturday night fever but every night fever all wrapped up in 5* luxury. 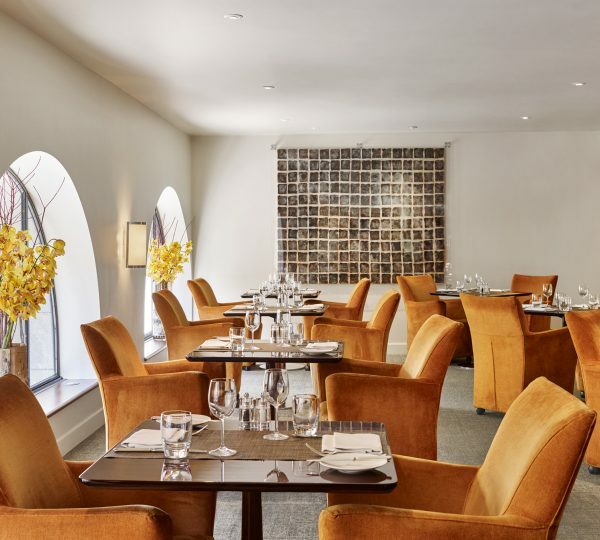 Get out those dancing shoes because One Aldwych is hot to trot.